Best cinematic brothers since Jake and Elwood Blues? Possibly. Sad, sweet, and a little bit gross. But that’s what brotherhood is. 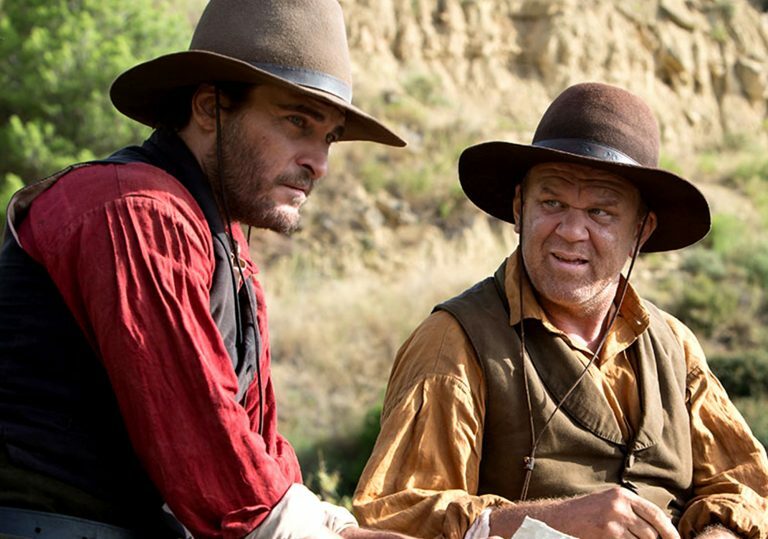 Joaquin Phoenix and John C Reilly saddle up for director Jacques Audiard’s lighthearted western. Something is rotten in the state of Oregon, though it’s difficult to tell if the putrefaction of human flesh or various puddles of vomit left across the virgin landscape are the main culprit. In Jacques Audiard’s The Sisters Brothers – which marks a departure from his formative seriousness in Dheepan and A Prophet – the visceral imposition of aggressive civilisation on the pastoral idyll takes centre stage. As the land burns up, so do men – and Audiard, meditative as ever – has much to tell us about the nature of personal trauma. It’s 1851, with the California Gold Rush in full swing, and two bounty hunting siblings are on the trail of an elusive target. 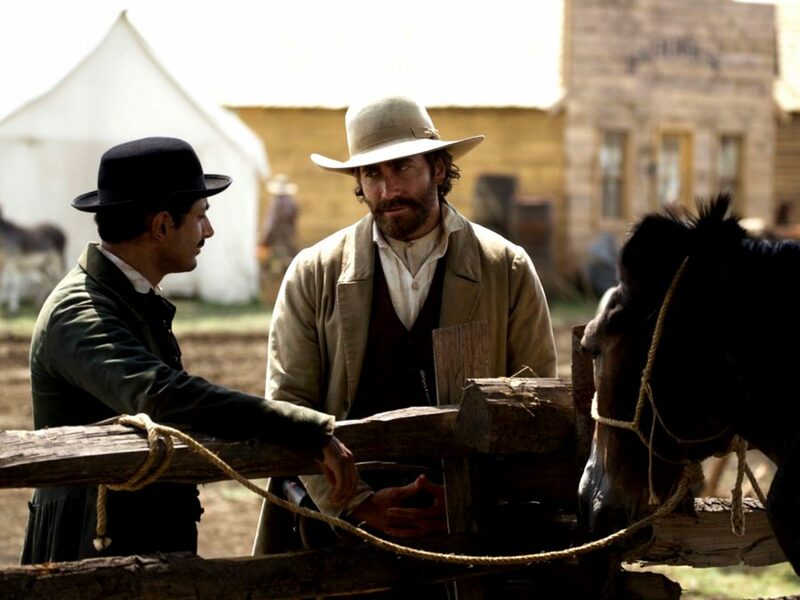 Based on Patrick DeWitt’s 2011 novel of the same name, the titular Sisters brothers are Eli and Charlie, played by the inimitable duo of John C Reilly and Joaquin Phoenix, whose easy chemistry sees them bicker and brawl their way across the plains in pursuit of detective John Morris (Jake Gyllenhaal) and chemist Herman Kermit Warm (Riz Ahmed). 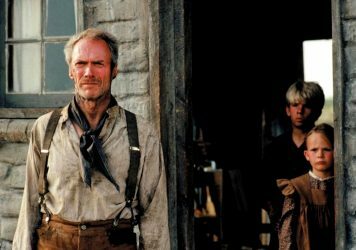 Although the stage is set for a gunslinging romp through the Old West, there’s much more at stake for Eli and Charlie than collecting a paycheque from their mysterious employer, The Commodore (Rutger Hauer). friendship between Morris and Warm sees them discuss the possibility of an American socialist state, and trying to find meaning at a time where gold and greed rule the hearts of most men. It’s this warmth and tenderness which surprises most of all, and the brothers and their would-be bounties are at their best when learning to live peacefully with one another. Puke-stained and stuck in their ways, the ghosts of the past prove hard to outrun and outgun for Eli and Charlie, but Reilly and Phoenix, two actors at the top of their game, exude a roguish charm even when covered in vomit or mercilessly executing a raccoon-hatted outlaw. It’s a shame we don’t get more of Gyllenhaal and Ahmed, equally charming as their adversaries, but perhaps it would undermine the film’s title to have anyone else take centre stage. Credit must also go to Audiard’s longterm cinematographer Juliette Welfling, who makes the Old West feel so breathtakingly alive behind her lens – with the dirty, bloody Sisters brothers an unwitting scab on the plush landscape, looking to heal themselves into a less ugly scar. This deep yearning for stability and betterment within all the men which sits at odds with the world in which they live. The cast is a formidable saloon of talent, but it’s the warmth and comic pathos of The Sisters Brothers that really disarms, and it’s Audiard’s gift for showing how pain shapes a person – first glimpsed, albeit mawkishly, in Rust and Bone – that elevates the film from entertaining yarn into a bittersweet tale of brotherly love. The French director of A Prophet and Dheepan is drawn to stories of human resistance and struggle.